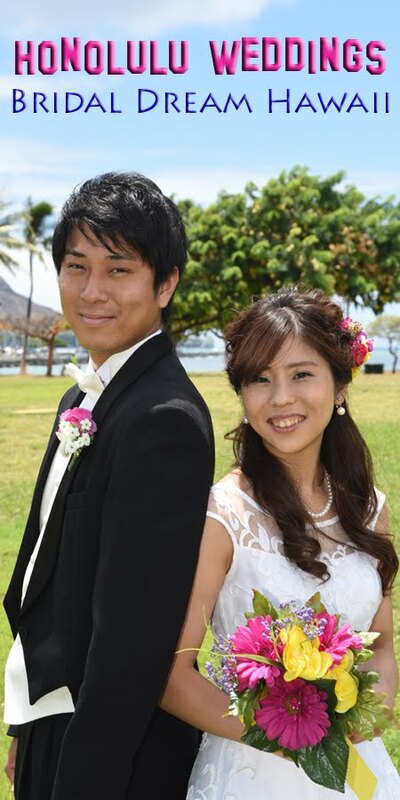 Tatsuya and Tomomi pose for our camera for their Hawaii wedding photo shoot at Ala Moana Beach Park. Cute couple! Pretty in pink.